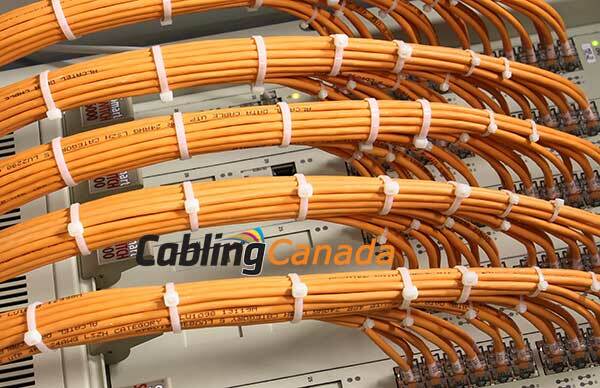 Cabling Canada provide reliable and professional Network cabling services across the GTA. Our data cabling installers have designed and installed numerous office data cabling projects, both small and large in the Toronto and surrounding areas including Mississauga, Hamilton, Brampton, Kitchener, Waterloo, London and the Niagara Area. We have have built an impressive track record of designing and installing scalable structured cabling solutions across numerous locations in Canada for past many years. We are highly experienced in managing projects for offices, data centers, Schools and Colleges and industrial and manufacturing sectors. We are specialists in supply, installation and termination of all types of fibre and network cabling, working with many IT companies in the GTA. Professional Network Cabling services in Toronto, Mississauga and the rest of the GTA. Certified CAT5e and CAT6 cabling provides a durable and scalable infrastructure. Our Phone cabling installations can be undertaken any day of the week to suit your needs and minimize disruption and down times. Free Quotations for all jobs. Looking to run Fibre cable for your office or need fiber termination, we have the correct tools and technicians to do the job on time and within your budget. We provide exceptional structured cabling, telecoms and networking services to commercial businesses across Canada covering Toronto to Vancouver.